We are participating for Broadcast Asia 2015! BroadcastAsia2015 is recognized as the networking, knowledge and circumstance platform for the pro-audio, broadcast, film and TV industries. It is a network platform which provides the opportunity to exchange business concepts, gather market information and source for the latest products and solutions among the professionals from the region. 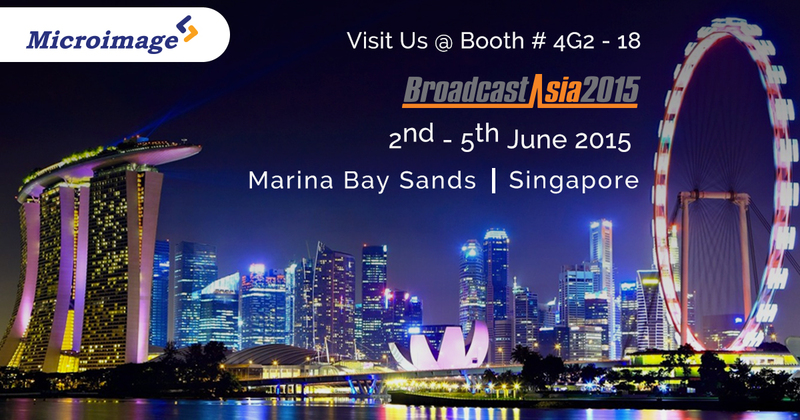 For the fourth time, in 2015, Microimage Mobile Media is participating to the Broadcast Asia. We are expecting to round up insights into the fields which are relevant to our media related (TV and Radio) business, and to enhance our future business. This year Broadcast Asia 2015 will address a lot of exciting fields under the theme of Delivering Experiential Content Anywhere which helps us to offer our innovative portfolio in the customers point of view. mStudio for example shifted the radio broadcast solutions from the existing paradigm of music playing to on-air time management business. Our partnership, participation and fruitful discussions during the conference will help to shape this new and dynamic media environment to the benefit of the broadcasting industry in the Asia-Pacific region. We look forward to welcoming you to our stall at #4G2-18.